Oct. 9, 2012. GEORGIA. Tbilisi. 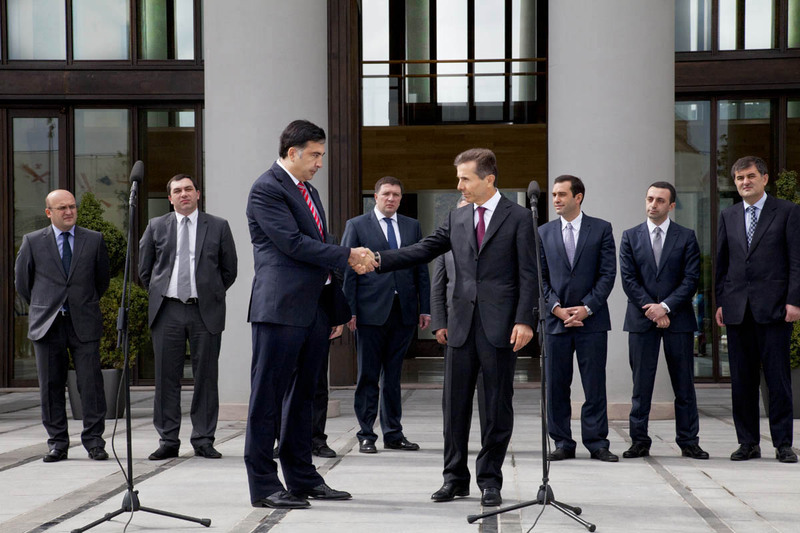 Mikheil Saakashvili and Bidzina Ivanishvili meet at Presidential Palace. The meeting was attended by the Georgian dream members: Irakli Alasania, Irakli Gharibashvili, Sozar Subari and Davit Usupashvili, and from the incumbent government: Giga Bokeria, Gigi Ugulava, Pavle Kublashvili and Davit Bakradze.